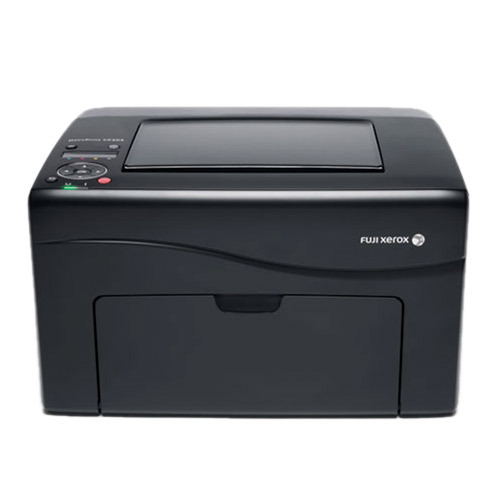 BrandFUJI-XEROX ColorModelCP105BPrinting MethodLASER COLORPrinting Resolution1200 x 2400 dpi (Fuji Xerox Image) Print Speed â€‹â€‹12 pages per minute in black and white . 10 color pages per minute Duplex. PrintingManual DuplexPaper Size PrintingA4, A5, B5, Letter, Folio, Legal, Executive, Com10, Monarch, DL, C5, special sizes ( 76.2 to 127 mm x 215.9-355.6 mm ) Memory Size64 MBPaper Handling Input Capacity 150 . sheets Paper Handling Output100 sheets ( face down face Down) InterfaceHi-speed USB 2.0CartridgeBlack Toner Cartridge (up to 2,000 pages) CT201591. Cyan Toner Cartridge (up to 1,400 pages) CT201592. Magenta Toner Cartridge (up to 1,400 pages) CT201593. Yellow Toner Cartridge (up to 1,400 pages) CT201594. Toner Cartridge (2,500 pages) CWAA0649Operating System SupportWindows XP (32bit/64bit), Server 2003 (32 bit / 64bit), Vista (32bit / 64bit), Server 2008 (32bit/64bit), Server 2008R2 (64bit), 7 (32bit /. 64bit) Mac OS X Version 10.4.11 or later (Power PC 32bit/Intel 32 bit), 10.5 with the latest update (Power PC 32/64bit/Intel 32/64 bit) and 10.6 with the latest update (Intel 32bit/64bit. ) Dimension (W x D x H) 394 x 234 x 304 mm.Weight11 Kg.Warranty3Y.